George is a mad scientist inventor, hellbent on finding the perfect way to pick up with new machines and inventions. Bodot is George's glamorous assistant who mistakenly believes they'll be able to use George's machines with George out of the way. 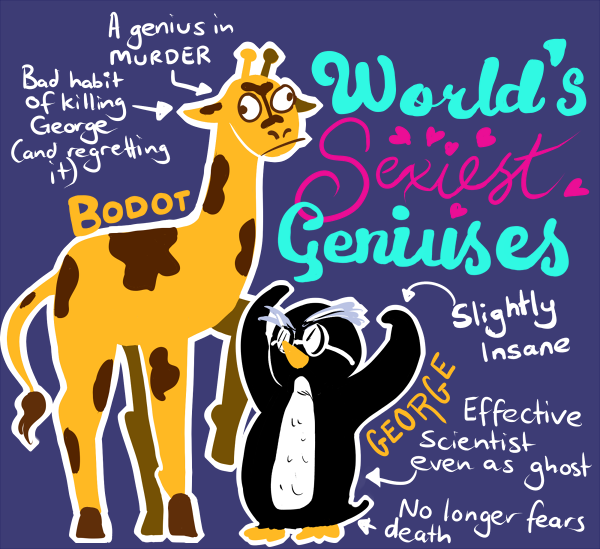 Unfortunately Bodot is only good at two things, and that is murdering (mostly murdering George) and using the George-erection machine when ghost-George's hauntings get too much and/or Bodot realises that Bodot cannot operate without George.